Everyone loves a good cushion right? They’re a little like handbags and shoes in my book, you just can’t have too many of them. When my husband made me cull the cushion collection recently, in preparation for the attic conversion it was a dark day indeed. So, it was time for a few new additions. Say hello to these little beauties, part of a collaboration between Sunny Todd Prints and Flock, a London-based design studio. 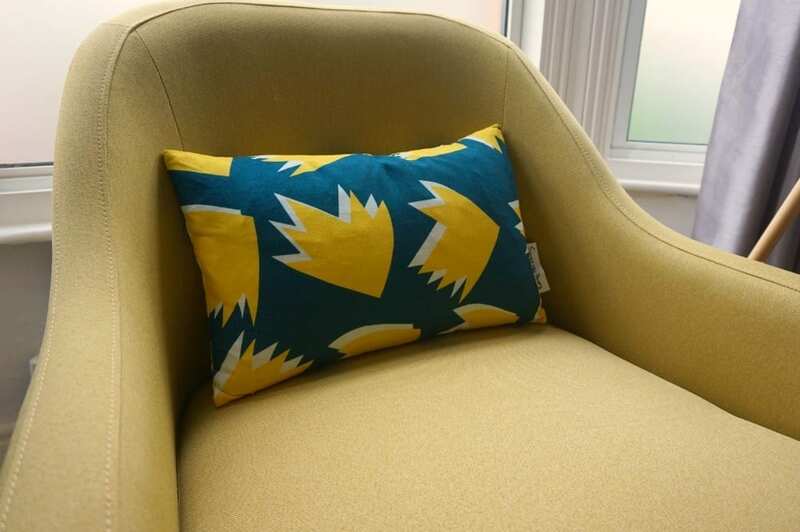 Part of a capsule collection that includes fabric, cushions and a ‘Toddstool’, the cushions are examples of two vibrant designs – Mirror and Spring. Spring – in Teal and Yellow, has a more geometric floral look with a ‘flower’ scattered along the design, again with a white accent. The cushions come in two sizes: 50 x 50 and 30 x 50, which you see in my images. The larger retails at £65 and the smaller at £45. I know they’re mid range priced but let me say that the quality, compared to some of my less expensive cushions is far superior. They are plump and firm and sit beautifully on the chair. Being small, I can use them with other designs on a sofa as part of mixed up display, or as a single cushion on the statement chair, and also as colour and accent on the bed. These designs are perfect for my style and taste – you all know how much I love something contemporary and geometric. 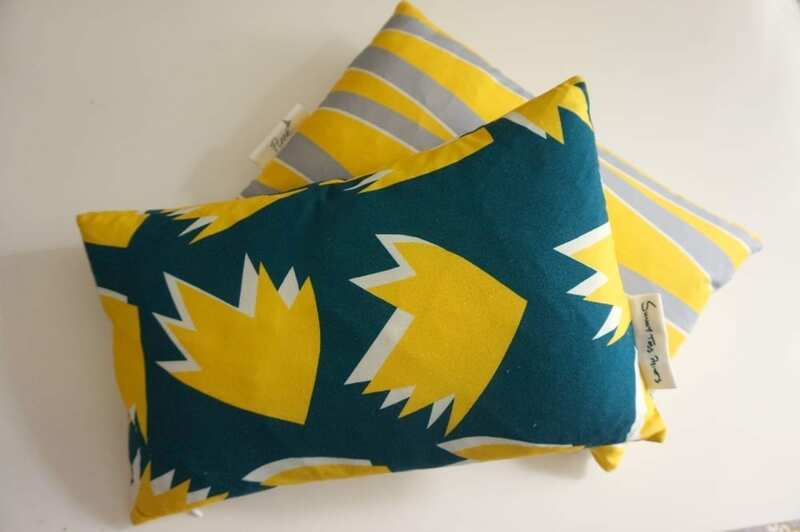 What do you think of these cushion? Would you like them for your home? Do you have the perfect spot for them? Flock is a really interesting concept. 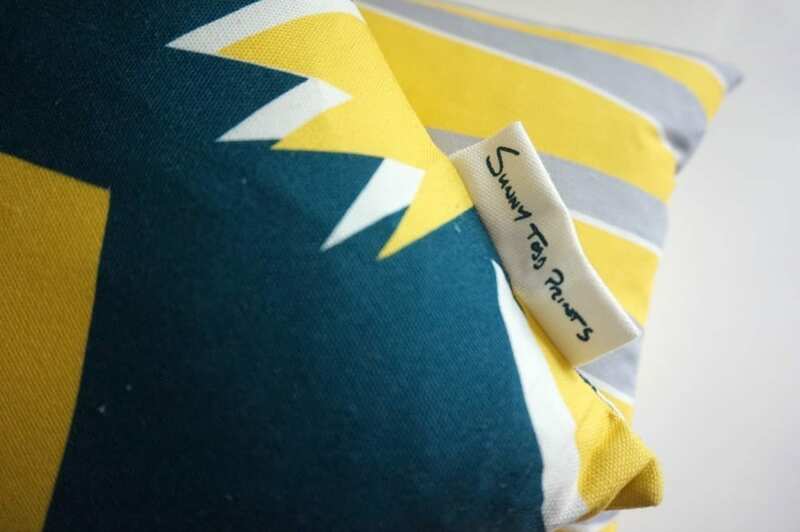 They work with an eclectic mix of recent graduate designers to create beautiful textiles for interiors. Each designer is provided with a rare platform to showcase their talent, they keep their name to their work and receive a royalty for every metre sold. The Flock collection of fine quality linens and velvets are digitally printed in Lancashire or screen printed by hand in London. 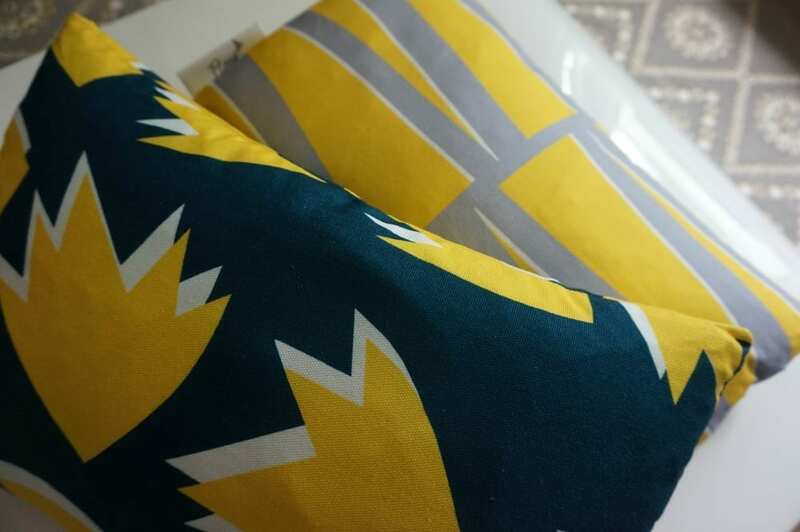 You can see more of the Sunny Todd Prints collection on the Flock website, along with other designer collaborations. Thanks to the team at Flock for sending across the cushions. The comments and opinions are genuine and all my own.